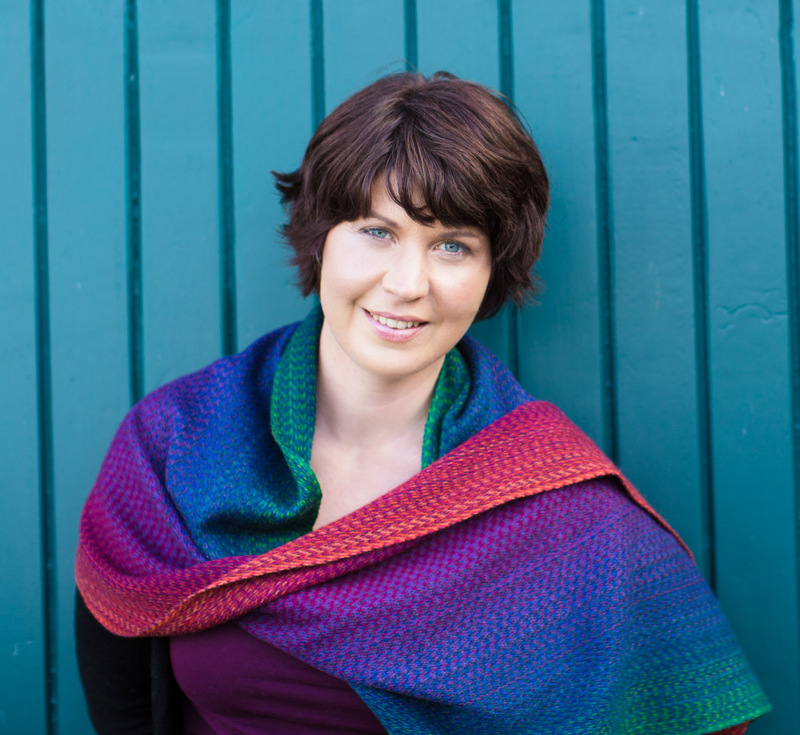 I feel like I’m behind with writing blog posts… Again! I had another post idea lined up but since it hasn’t been written up yet, I think it will have to wait until the New Year. 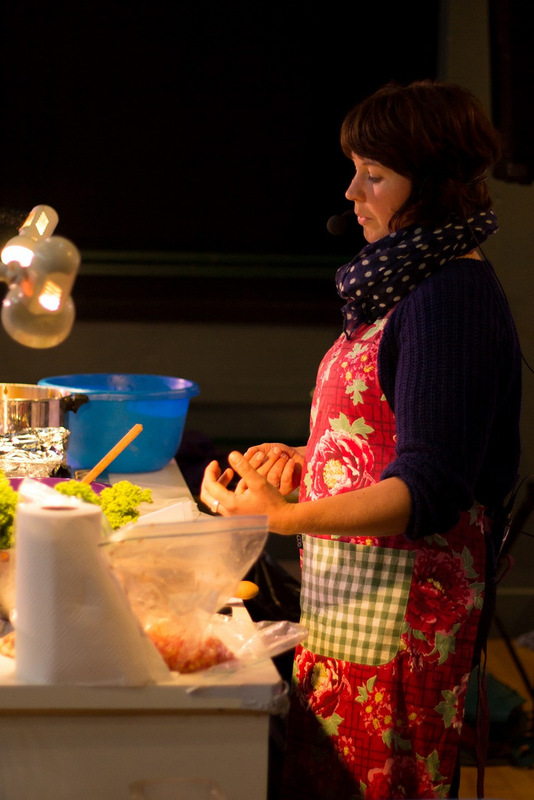 Who wants to think about batch cooking and meal planning at the moment anyway, right?! It is all too easy to fall into this scarcity trap. I do that too sometimes when I find a food I really like and that I haven’t had for awhile. There is a beauty to seasonality though and that is the fact that because some foods are in season at different times of the year, we get the opportunity to savour them at that time. However, given the current world we live in, if we truly want something very particular chances are we can get it, or make it ourselves. 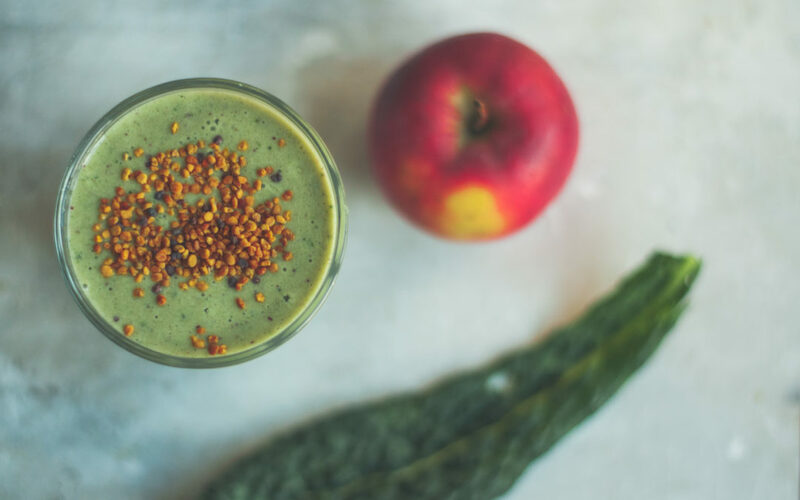 Letting go of the feeling of “having to eat it all now before it is gone”, instead shifting it to a place of attunement and gratitude may help us savour these foods mindfully, instead of just wolfing them down not actually tasting them or enjoying them at all. Letting go of eating just for the sake of eating, can open up space to have a really satisfactory eating experience and usually when we have that we don’t tend to go looking for more. Anyway… My intention for this blog post was to give you some inspiration when it comes to adding some green stuff to the Christmas menu. I’m sharing this Fig & Walnut Salad + I have linked to a few of my other winter favourites from the past as well as from my favourite bloggers around the world. Whether you will be the brave one introducing a new dish on the 24th / 25th or if you decide to try some new plant based dishes between Christmas and New Year, just to lighten things up a bit, I do hope you decide to give some of these a go! Vegetables are here to be celebrated… Any time of year! 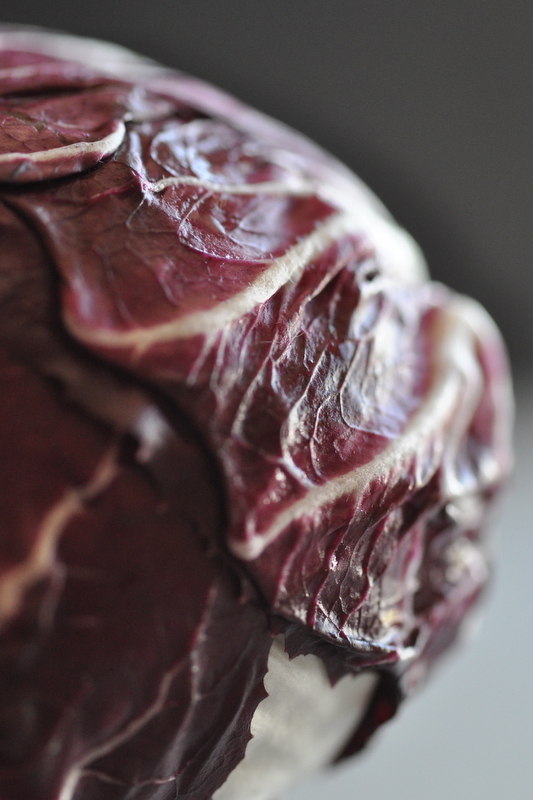 Remove the outside leaves of your radicchio and then cut into fine strips. 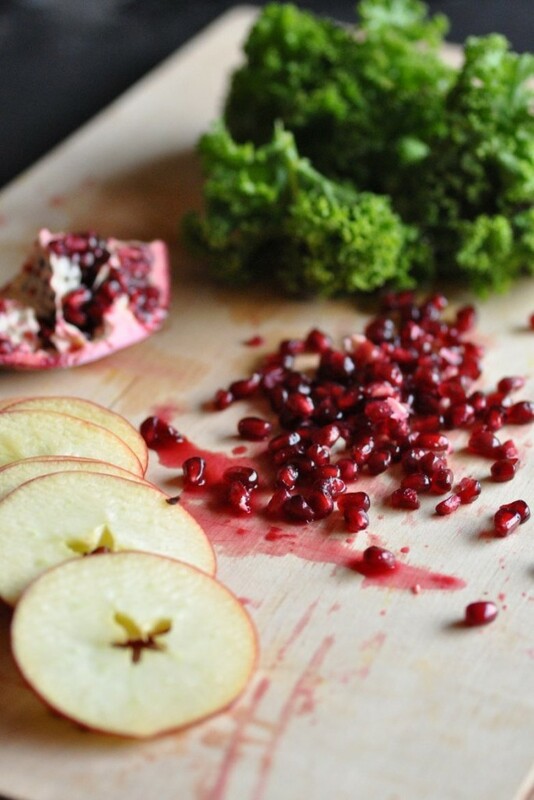 Remove stems from the kale and chop finely. 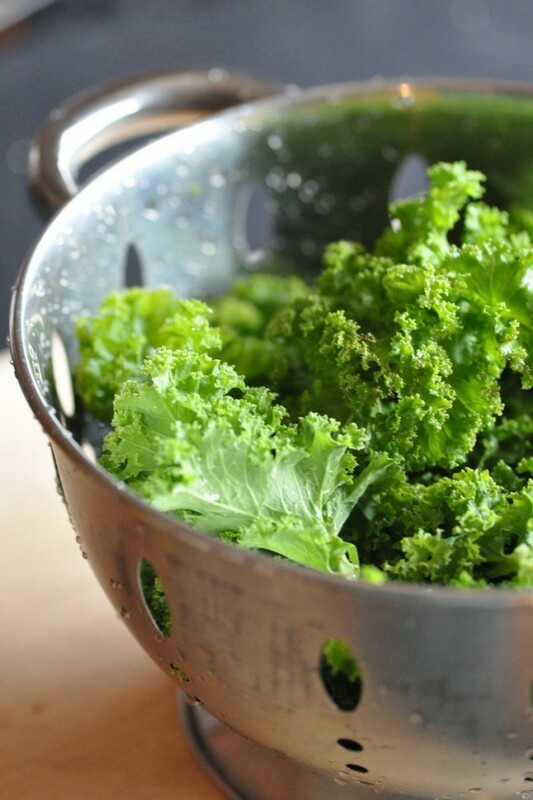 Place the cut kale, drizzle over the olive oil and then gently massage it to soften the leaves. Add the shredded radicchio to the bowl. Cut the pit off the fresh figs and then make two slits across the middle. Place a chunk of goats cheese in the middle of the fig then place under a hot grill for a few min until cheese is lightly golden. Place some of the salad on each serving plate. 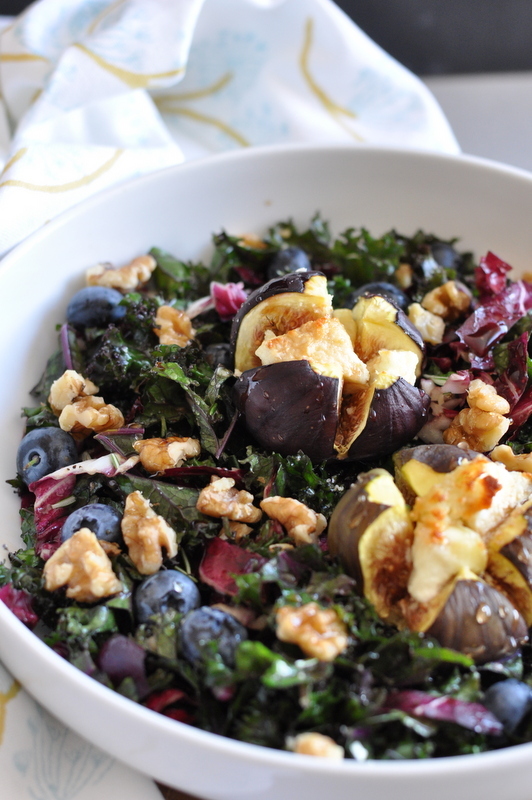 Add a grilled fig each on top of the salad. Drizzle some balsamic vinegar and some runny honey over the fig and salad. 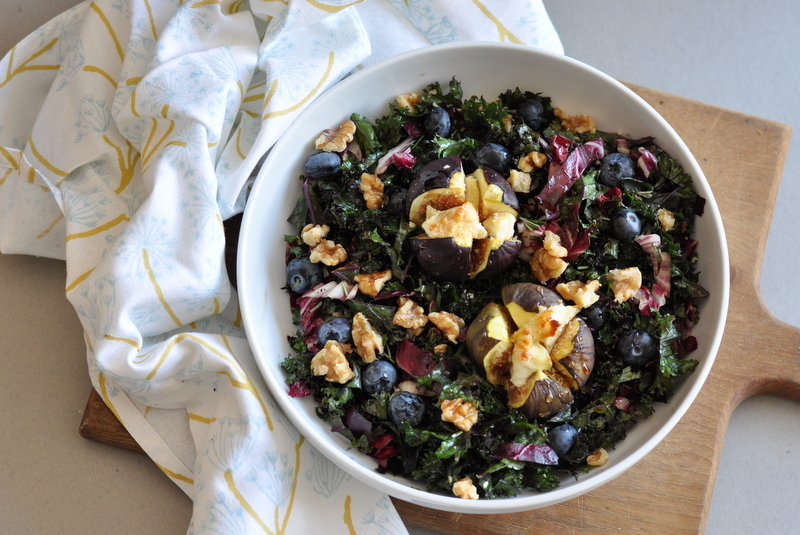 Finish off by scatter some chopped walnuts, chopped rosemary and a few fresh blueberries over each plate. If you are looking for some more green inspiration for the Christmas table, or any other day for that matter, here are some of my favourites! And here are some festive recipes from some of my favourite food bloggers that I’ve been following for a long time! 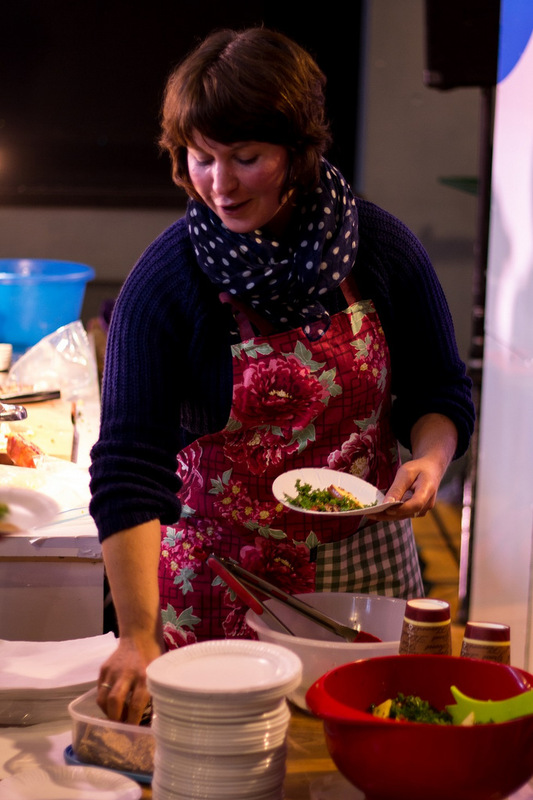 THIS recipe from Heidi of 101 Cookbooks changed my view on Brussels Sprouts forever. Super simple too! And finally another recipe from GKS which is a little bit more like a main course. This weekend I finally feel like I’ve hit those Autumn vibes in my kitchen. After a massive haul of fresh groceries, since my fridge was literally empty on fresh food and 2 hours of cleaning out my pantries I think I feel ready to move into the last quarter of this year. And to get cosy with woolly jumpers, fires and some hot chocolate. It’s time to pull out the soup pot and get ready for stews and soups. But before we arrive there, I thought I’d share with you this spicy creation, kind of like a bridge connecting the late summer / early Autumn with the slow arrival of shorter colder days. 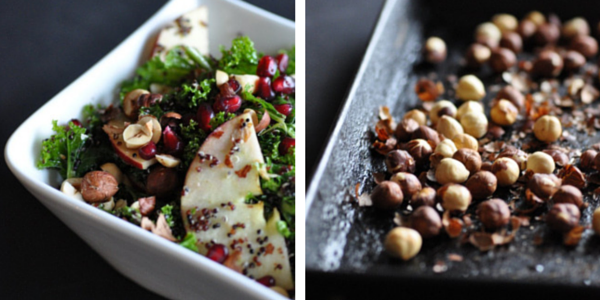 I mean, of course you can still have salads in the Autumn / Winter. It doesn’t have to be all about cooked comfort foods. What I’ve come to do is this; to stick with the seasonal greens for salads. 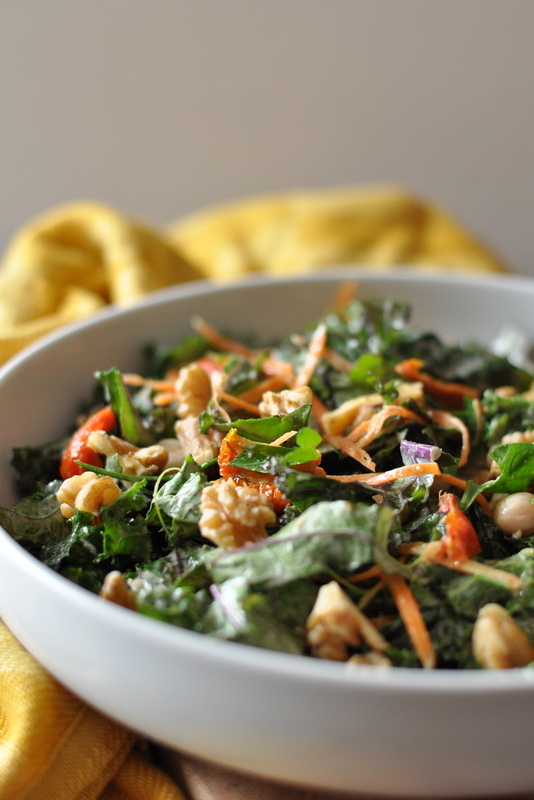 In doing so it feels natural to have salads to ensure that you still get some greens into you. Which can easily become a bit more of a struggle come winter time. 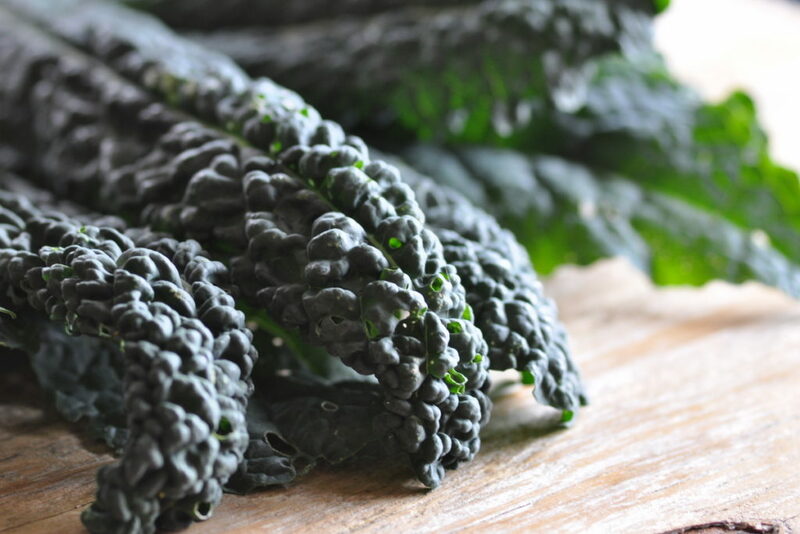 Cavolo Nero or sometimes called Black Kale or Dinosaur Kale (due to it’s appearance) is a variety of kale that’s also pretty easy to grow yourself. Last year I did so successfully and the plants kept on giving way into the late Autumn. 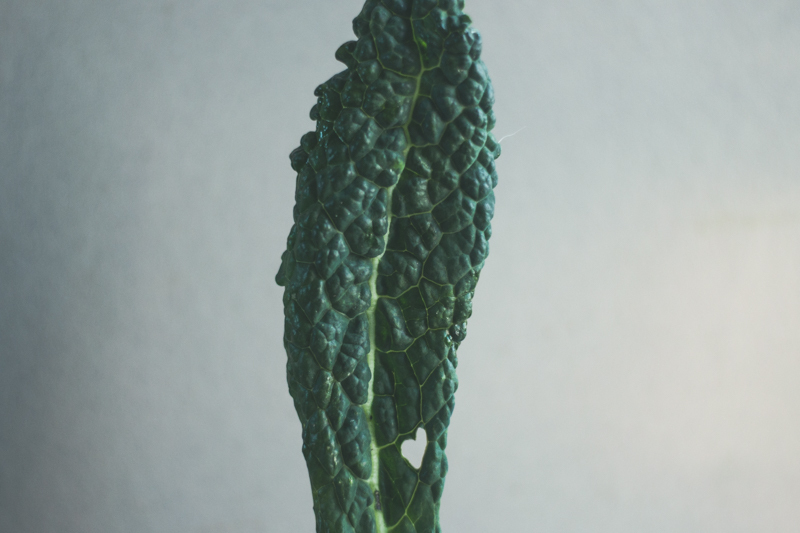 I love how kale just keeps growing up and sprouting out new leaves for one to cut and enjoy. It’s such a generous plant! However this year the lovely caterpillars got stuck into it early on and I got completely outnumbered… So this year I’d have had to go and buy some instead. 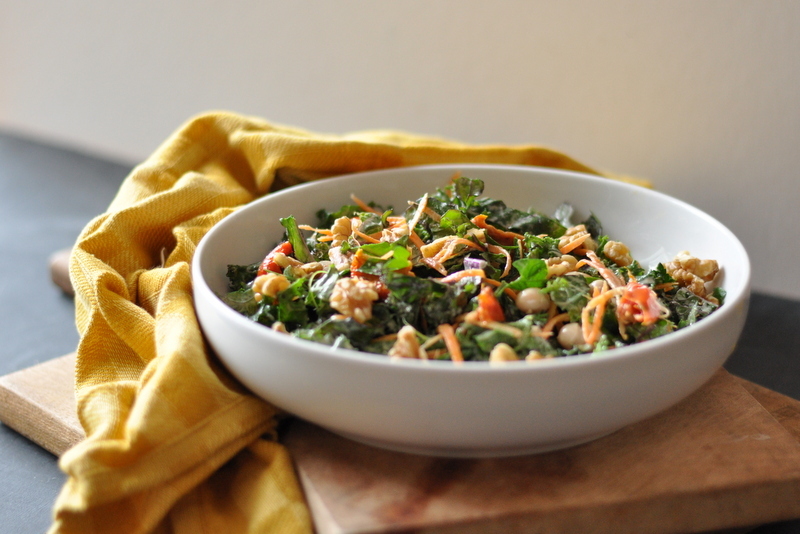 This type of kale has the same amazing benefits as your regular curly kale, which contains vitamin K and C (antioxidants) as well as being a great source of easily absorbed iron and calcium. It is also a great source of chlorophyll, which is essentially the compound which plants use to absorb the light from the sun and turn it into a source of energy via photosynthesis. This is how the plants store the sunlight and make it available for us humans, through when we are eating the plant itself. 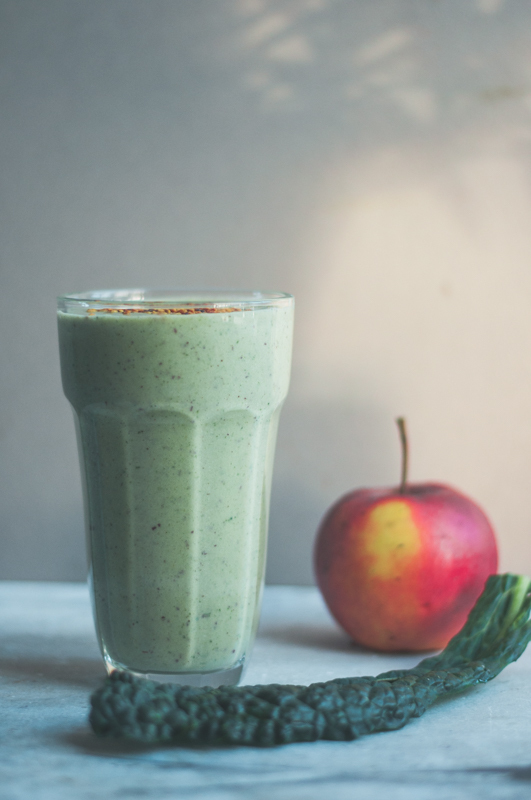 Chlorophyll has great healing properties such as wound healing and support the body’s detoxification processes. It is possible to buy liquid chlorophyll that can be added to drinking water. It is not something I have ever tried myself though. Another thing to note is that when cooking kale, don’t over do it or you’ll lose out on the vital nutrients. A good guideline is to just cook until the colour “pops” and you have a really bright green. That will take just minutes (if even) when steaming. The other way to make sure you get the most out of this nutritional powerhouse is to massage it in an olive oil / citrus dressing. Most of the time I use lemon juice, but for this one I went with lime for a more Mexican inspired twist. 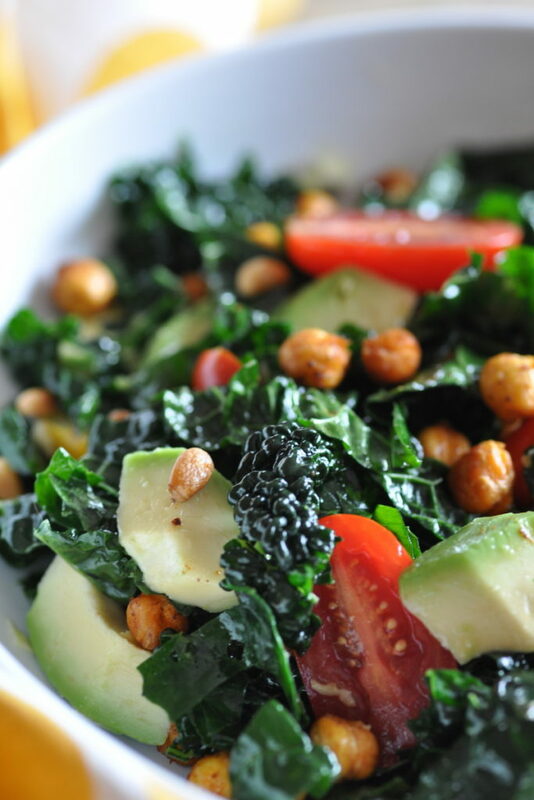 This is a raw-cooked kind of salad with the spicy roasted chickpeas being served warm and the kale raw. You can slow roast the tomatoes too if you like for more warmth as well as a deeper tomato flavour. As soon as the weather gets cold I personally need to pair my cold food with something warm, even if it just a cup of tea! If you eat meat, I think this salad combination will work well with chicken. 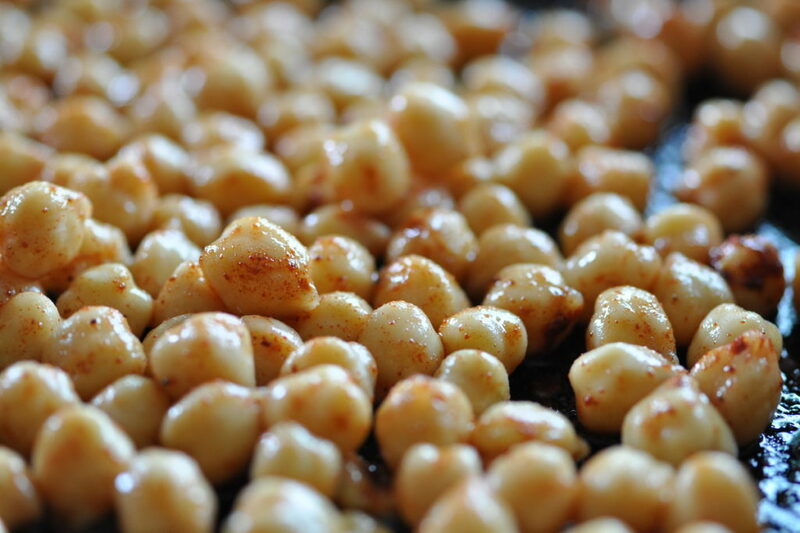 Start by roasting the chickpeas; Preheat the oven to 175°C. Drain and rinse the chickpeas. In a small bowl mix the olive oil with the spices and a pinch of salt. Add the chickpeas to the oil-spice mix and toss until well coated. 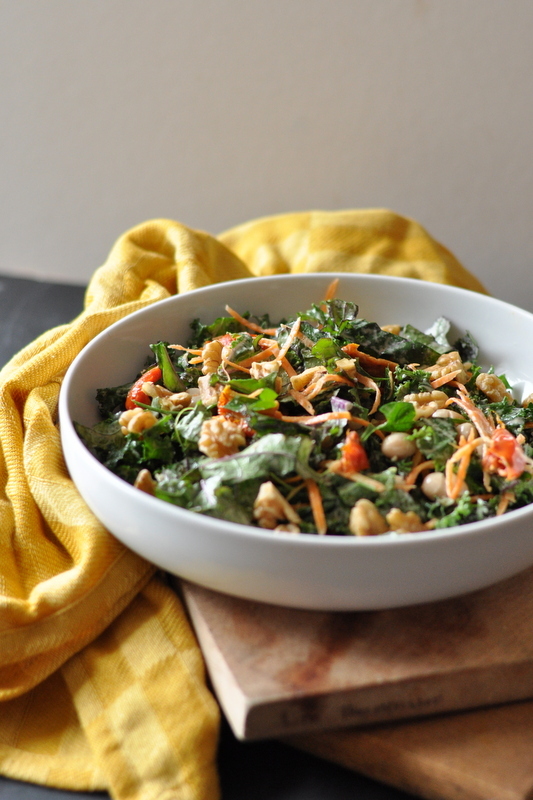 To make the salad; Cut the stems from the kale and then chop it into bits. Mix olive oil, lime juice, lime zest and maple syrup together in a small bowl. Season with sea salt and black pepper to taste. 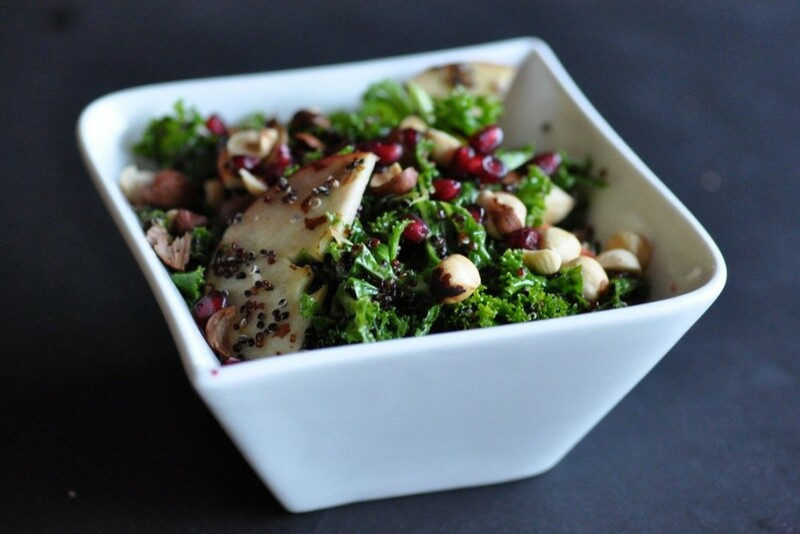 Add the dressing to the chopped kale and gently ‘massage’ it into the leaves with your hands. Cut the avocado in half and remove the stone. Scoop the flesh out and cut into cubes. Halve the tomatoes. 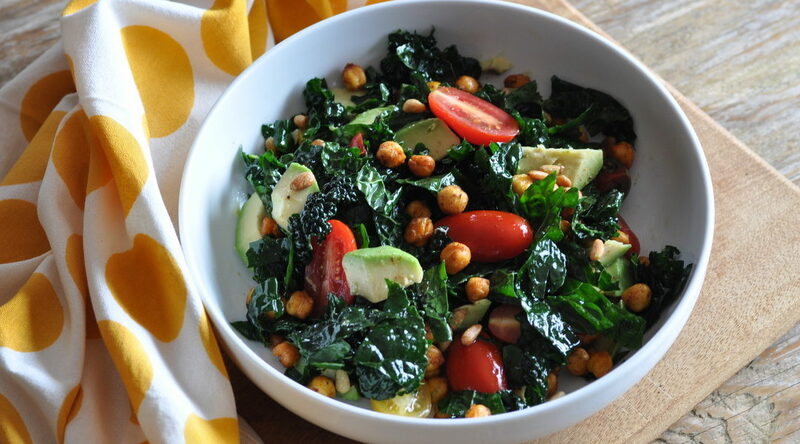 Place kale, avocado, tomatoes and roasted chickpeas into a bowl and serve.